Multi-floor, interior renovation for Channel 9 broadcast headquarters newsroom and broadcast studio, located outside the capital city of Tbilisi in the Republic of Georgia. 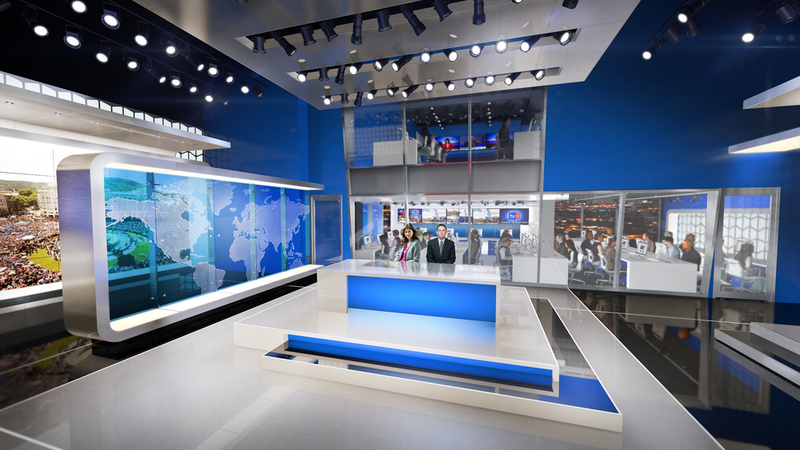 The renovation included the design of the main broadcast studio and adjacent 2-floor newsroom work space for editorial staff. 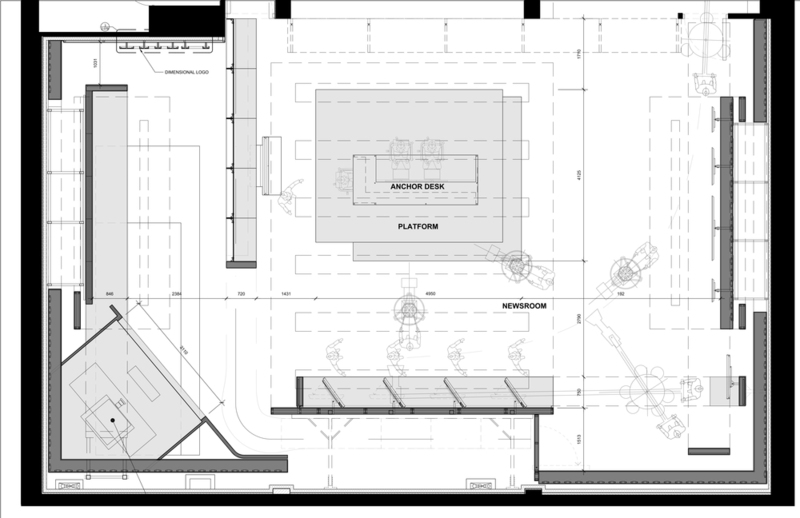 Additionally, provided overall project management, base building and AV coordination and general studio/interiors planning services.